Plus, here are three podcasts to try out. "Your personal finance is so much more than what's in your bank account — it's what you feel about money," says Meghaan Lurtz, president-elect of the Financial Therapy Association. 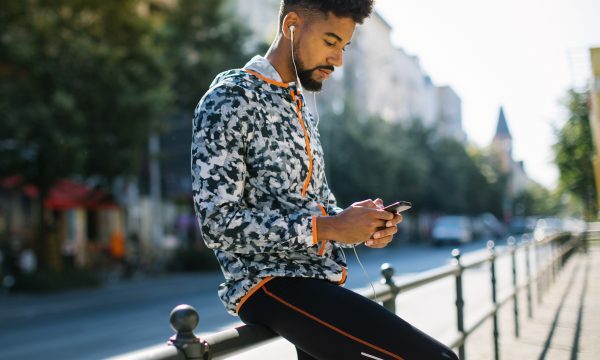 Some podcasts may help listeners feel more confident with their money, which can enable them to make smart, proactive decisions. If this seems like a stretch, consider what happens when you listen to certain personal finance shows. Learn important terms. After all, Lurtz says, there can be a "huge language barrier" in personal finance. Do you want a fixed-rate, adjustable-rate, interest-only or FHA mortgage? Should you claim the standard deduction on your taxes or itemize? Hearing others use these terms in conversation is like immersing yourself in a new language, Lurtz says. Take interest. Podcasts, with their accessible and (usually) compelling format, may get you thinking more about your money and what to do with it. Maybe you'll buy stocks! The intrigue is particularly important for folks with a passive — or worse, an avoidant — approach to personal finance. "So Money." Farnoosh Torabi, an author who focuses on personal finance, discusses money with big-name guests, such as Tony Robbins, Tim Ferriss and Gretchen Rubin. On Fridays, she answers listeners' questions. "The Clark Howard Podcast." Clark Howard, an author who specializes in consumer issues, has a nationally syndicated radio show all about saving more money and spending less. "Bad With Money With Gaby Dunn." This podcast's host isn't a personal finance expert — she's a writer, actress and comedian talking through her own money mistakes, frustrations and confusion. As a bonus, check out archived episodes of the NerdWallet "MoneyFix" podcast. Take what you hear in podcasts in the context of other research, and use that information as an opportunity to reflect on your own personal finance.